Where the Orchids Grow. : May I have your votes please? 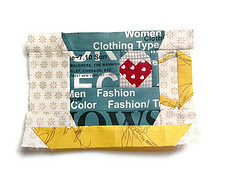 Oooh excitement my tutorial made it to the final 10 in the Sew Mama Sew true love contest!! I have voted for you. Fingers crossed. You certainly can! Good Luck! You got my vote Leila! Good luck! You have my vote - I love your project, so that was obvious that I'll vote for it! you have got my vote to! Easy choice there and I chose you! Love your cuppa! You have my vote for sure. I didn't even need to be asked. Your creation is lovely!